A vacuum Pump Wine Saver which extracts the air from an opened bottle and re-seals it with a re-usable rubber stopper. The vacuum slows down the oxidation process which makes it possible to enjoy your wine again later. Les bouchons conviennent au goulot de toutes les bouteilles de vin habituelles. Bouchons en élastine thermoplastique. Nombre de pièces: 1. Contiene: 1 x Pompa Salvavino e 4 x Tappi per Il Vuoto (entrambi riutilizzabili). Premiato prodotto (utilizzato in oltre 35 milioni di famiglie e di più di 80 paesi in tutto il mondo). Vacu Vin Wine Areator. Aérateur pour le vin. VACU VIN vous propose La mèche est remplaçable. Rafraîchisseur Conserve les boissons fraîches pendant des heures. Couleur : Gris Anthracite. Veuillez conserver le reçu. Le Champagne Saver Vacu Vin préserve le pétillant naturel du champagne et minimise son oxydation, préservant ainsi son goût pendant environ une semaine. Vous préserverez ainsi le pétillant naturel et réduirez l’oxydation. Numéro de modèle: 68415606. Couleur : Bronze. Couleur: Bronze. Nous expédions toutes les commandes dans les. Matériau: Autre. Vacu vin 6 piÃƒÂ¨ces-bouchons pour pompe vide-gris. Si vous n'êtes pas satisfait de votre commande, veuillez nous. Nous expédions toutes les commandes dans les. Cet indicateur unique signalant le niveau de mise sous vide optimale est breveté. Couleur : Noir/Transparent. Couleur: Noir/Transparent. VACU-VIN weinpumpe avec 2 Bouchon Bordeaux-Rouge vin sous vide Fermeture! NEUF! Alongside the Wine Saver Pump, the Vacuum Stoppers were the first product to be manufactured and distributed by Vacu Vin in 1986. 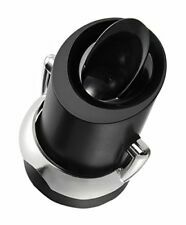 The Vacuum Stoppers are designed to preserve the flavour and taste of wine via the creation of an airtight vacuum. Brand New Vacu Vin Wine Saver Pump with Click Vacuum Indicator. Condition is New. 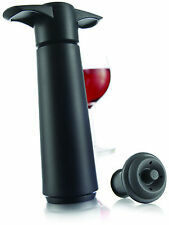 The Vacu Vin Wine Saver vacuum pump extracts air from the wine bottle and re-seal the bottle with a rubber stopper. 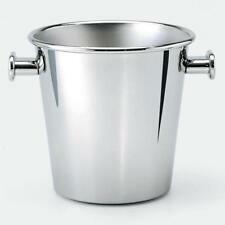 The Wine Saver is suitable for all non-sparkling wines. The vacuum seal will prevent the oxidation process which causes the deterioration of the wine. They are constructed from food-approved silicone that is dishwasher compatible. The Glass Markers Classic Grapes are an offshoot of the award-winning original Vacu Vin Glass Markers collection. Box contains 8 individual glass markers (all in a different colour). The Vacu Vin Champagne & Sparkling wine opener allows you to easily remove the cork from the bottle, minimising the risk of the liquid escaping! Place the opener over the cork and gently remove the cork. VACU VIN Weinpumpe mit 2. Vacu Vin Waiters Corkscrew with foil cutter and bottle opener function is a must-have for any connoisseur. 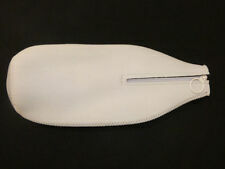 The Vacu Vin Wine Saver was the first device of its kind that was available to the international market. The Wine Saver is a vacuum pump that extracts the air from an opened wine bottle and re-seals it using a rubber stopper. The air-tight vacuum inhibits the oxidation process that is responsible for the deterioration of wine. They are constructed from food-approved silicone that is dishwasher compatible. Give every glass or guest a character. With Vacu Vin Party People Glass Markers you will always have 12 extra guests at your party. 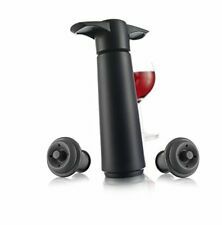 Contains: 1 x Wine Saver Concerto Pump and 4 x Vacuum Bottle Stoppers (both re-usable). The Wine Saver is a vacuum pump that extracts the air from an opened wine bottle and re-seals it using a rubber stopper. Box contains 12 individual glass markers (all a different colour/party people character). Suction cup on the rear of each glass marker sticks to any smooth surface. Brand New Vacu-Vin Beer Tasting Set RRP £50 . This beer tasting set contains 11 glasses of varying sizes, a beer blade and a quirky bottle opener. All items are brand new and boxed making this an ideal gift! They are constructed from food-approved silicone that is dishwasher compatible. The Glass Markers Football Friends are an offshoot of the award-winning original Vacu Vin Glass Markers Party People. Give every glass or guest a character. The Rapid Ice Cooler is a super cold flexible ice jacket, when taken from the freezer simply slip it over the bottle to start cooler. The drink will be chilled within just 5 minutes and will stay cool for hours! They are constructed from food-approved silicone that is dishwasher compatible. The Creepy Creatures are an offshoot of the award-winning Vacu Vin Glass Markers Party People. Give every glass or guest a character. They are constructed from food-approved silicone that is dishwasher compatible. Give every glass or guest a character. With Vacu Vin Party People Glass Markers you will always have 6 extra guests at your party. Keep RAPID ICE in the freezer and forget about chilling drinks in the fridge. Fits most wine and other similar drinks bottles. Suitable for wine bottles only. Chills Drinks Fast. VACU VIN GLASS MARKERS PARTY PEOPLE - SET OF 12 & LAKELAND 6 BIRDIE WINE GLASS MARKERS - NEW & BOXED. You will receive one box of 12 Vacu Vin Glass Makers and one box of 6 Lakeland Birdie Wine Glass Markers. A spinning centre piece that allows your wine to breathe in a functional and elegant way. With a gentle push the Swirling Carafewill turn and roll. Unique is the bottom part of the Swirling Carafethat works as a turning platform. 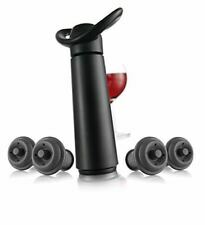 The Vacuum Stoppers are designed to preserve the flavour and taste of wine via the creation of an airtight vacuum. This inhibits the oxidation process that is responsible for spoilage. The device is simply inserted into the neck of an opened wine bottle when required. 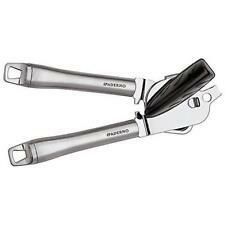 The Cork Puller is a must have if you like to drink older wines & ports. An extra unique feature is added to the server which allows it not only to serve without dripping but also let it function as a bottle stopper. The new Wine Saver & Server combines the complete wine drinking experience in one single product. The Vacu Vin Wine Set is a stylish collection of successful and established Vacu Vin wine products. The box contains: 1 x Wine Saver Vacuum Pump Black, 2 x Vacuum Bottle Stoppers Grey, 1 x Elegant Wine Cooler Black, 1 x Twister Corkscrew Black and 2 x Crystal Wine Servers Black.